Everyone loves a Maccy D on a Friday, especially when the day never really gets going. Know what I mean? The kind of day where daylight decides to stay in bed? Well, today was a winner. Outside the McDonalds right next to Shaftsbury Avenue. 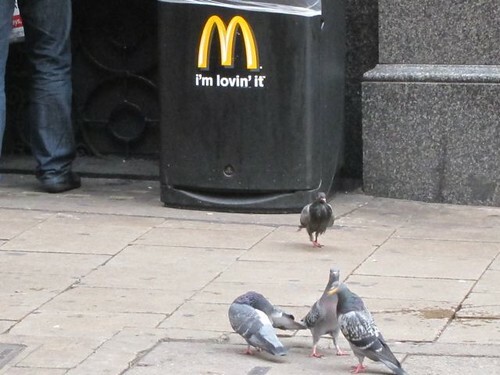 ‘I’m lovin it’. I certainly am! November 11, 2011. Uncategorized. 3 comments.